How can we begin to solve fashion’s most pressing sustainability issues? We need collaboration, knowledge-sharing, and a willingness to look fearlessly at what's wrong as well as the opporunities for positive change. We need the movers and shakers to get involved, and stakeholders from all areas of the industry to join them. We need fresh ideas and points of view. Enter, the Copenhagen Fashion Summit. Organisers liken the summit "the Davos of the fashion industry", and say: "it’s a nexus for agenda-setting discussions on the most critical environmental, social and ethical issues facing our industry and planet.” So this is a table you want to be at! Eva Kruse founded the summit in 2009 to coincide with United Nations summit on climate change that happened in Copenhagen that year. Very forward-thinking - at a time when it was rare for businesses to discuss sustainability in public, even when they were working away at it behind the scenes. And back then fashion really wasn’t part of the climate change conversation. Fast-forward 9 years, and everyone wants a ticket - from designers like Stella McCartney to media leaders such as ex-Vanity Fair editor Graydon Carter, from circular economy champions like Ellen MacArthur and William McDonough, the CEOs of big fashion companies and the founders of smaller ones. The daughter of activist parents, Eva Kruse attended a progressive Danish business school called Kaos Pilot. She fell into a TV career then went onto become a magazine editor. She was instrumental in the creation of the Danish Fashion Institute and Copenhagen fashion week in 2005, and is much loved in the industry for her big ideas and, more importantly, her ability to make them happen. THE CITY. COPENHAGEN is the historic capital of Denmark, home of Hans Christian Andersen, 19th century amusement park Tivoli Gardens and the art of hygge. Today Copenhagen is a green leader. Over half the city’s residents ride a bike to school or work, 72 per cent recycle their biowaste (a year after the new recycling scheme was introduced by the city). By 2025, the city aims to be the world’s first carbon-neutral capital. THE ROYAL PATRONAGE. Crown Princess Mary of Denmark is the summit’s official patron. And she’s an Aussie. Just saying. THE SUMMIT. 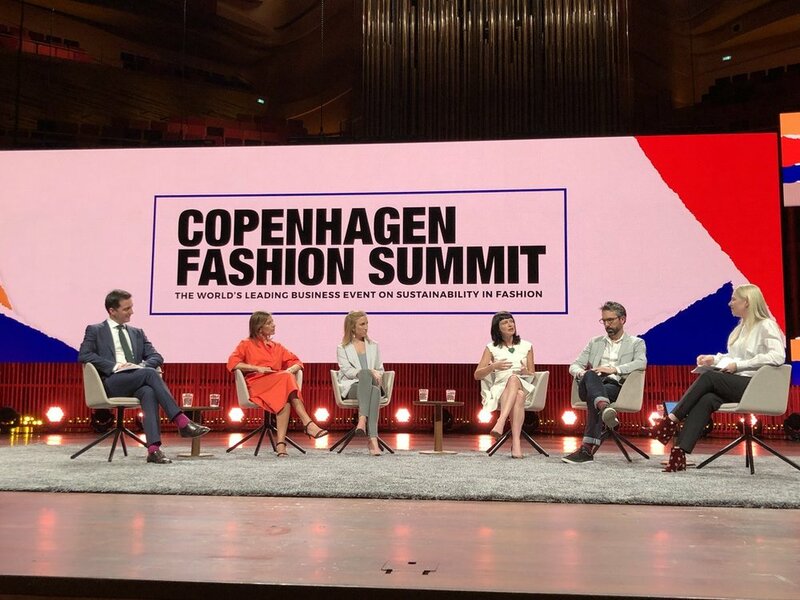 For 2 days in May, the fashion industry descends on the Copenhagen Concert Hall to discuss the most critical issues facing the planet and the fashion industry. THE PROGRAMME fuses plenary sessions with industry leaders, deep-dive panels, pitches from tech startups and ample opportunities for networking (including pre-booked Speed Dating meetings). It closes with the Innovation Forum, where innovative tech, fabric and supply chain solutions are presented. THE NEXT GEN. 2018 Youth Summit saw 114 students from over 50 countries, with backgrounds in design, business, science and engineering, come together to look into the CEO Agenda and the UN Sustainable Development Goals, and challenge business. From a pool of over 350 applicants, 3 Australian students from RMIT made the grade. THE IDEA. Eva’s earliest concerns for fashion sustainability came in 2007. 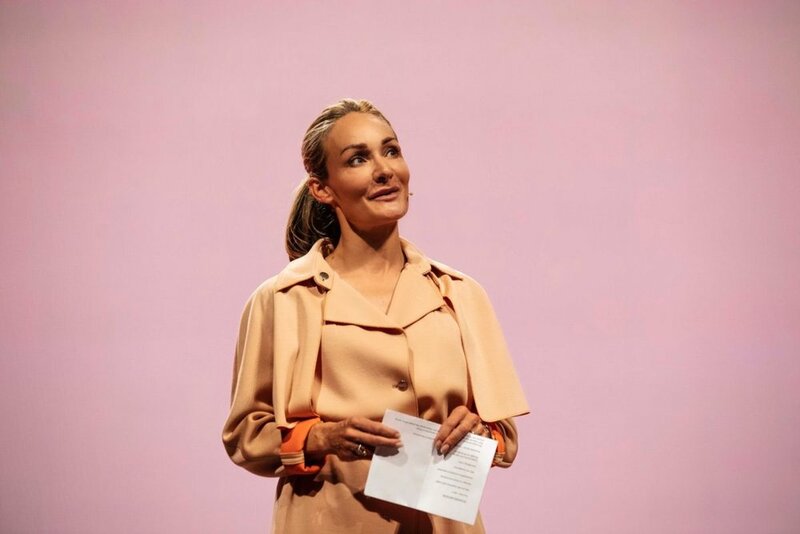 As editor of Danish magazine Euro Chief and the CEO of Copenhagen Fashion Week, she began holding seminars to raise awareness as to the environmental implications of the fashion industry. During the 2009 UN Climate Change Conference (COP 15) in Copenhagen, Eva invited Kering and H&M to get involved. After that, the Summit was held every second year until 2016, when it went annual. According to Eva, there’s enough going on now to justify meeting yearly. “This is the biggest trend and the biggest topic for any business leader in fashion today,” she says. COP15. Want a deep-dive into climate change? Clare’s new book explores the topic at length. Buy RISE & RESIST here. FASHION. It’s a fashion summit, not a sustainability summit, says Eva. To take the conversation mainstream, the context needs to be attractive, fashionable, fun and easy to grasp - both for business and consumers. THE CEO AGENDA provides a guideline for what companies need to prioritise to become more sustainable. It was created by the Global Fashion Agenda, in partnership with Kering, H&M, Target, BESTSELLER, Li & Fung and the Sustainable Apparel Coalition, and is available for free. Access it here. For more information on the Global Fashion Agenda, listen to the podcast Episodes with Katrin Ley and William McDonough. RESOURCE SCARCITY. The fashion industry is waking up to circularity and according to Eva, “garbage is gold”. The resale market is set to eclipse the fast-fashion market in 10 years time. Want more recommerce? 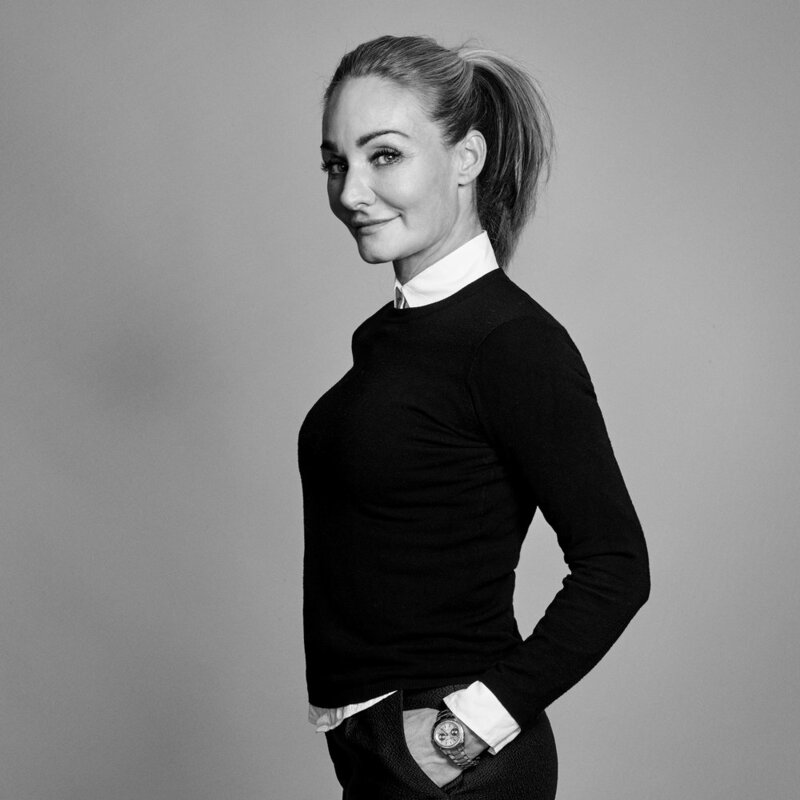 Listen the podcast with Vestiaire’s Fanny Moizant here. TRANSPARENCY AND VULNERABILITY. As companies become more transparent about their mistakes and shortfalls, honesty and collaboration are essential. Eva says sustainability should be “beyond competition”. According to Eva, individuals play a pivotal role in achieving change. By considering our purchases - what they are made of, how much we need them and what happens when we no longer need them - we can hold power as consumers. When we become more conscious, says Eva, the money will move faster. Tickets are on sale for the 2019 Copenhagen Fashion Summit - the event’s 10th anniversary. May 15-16, 2019. Confirm your place here.